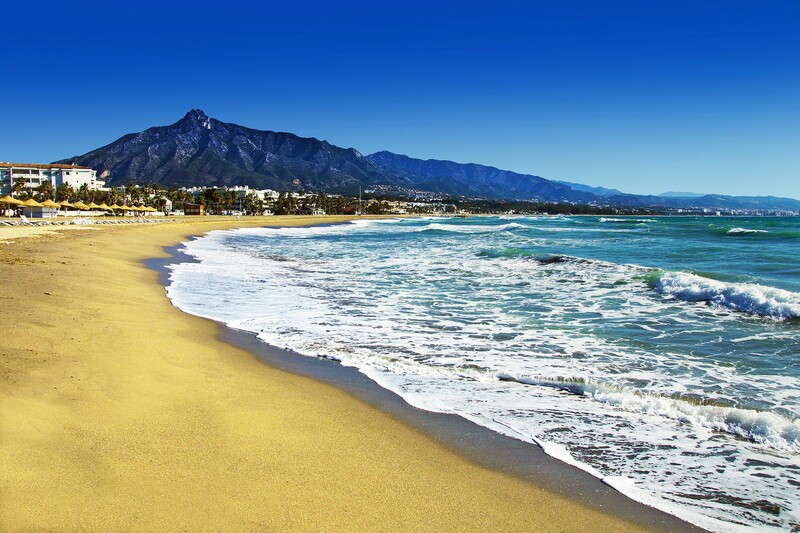 The Costa del Sol is the most popular area in Spain for foreign home ownership. With over 160km of coastline taking in large cities, small towns and traditional fishing villages, the area is one of the most well-known holiday destinations in the world. With all the hustle and bustle, it is sometimes nice to explore areas and sites that are a little more off the beaten path… especially if you are considering the Costa del Sol as your permanent home. With this is mind, we’ve listed some of the hidden gems of the Costa del Sol. For the adventurous type – El Torcal de Antequera (it’s full name) is a beautiful nature preserve located about one hour inland from Malaga, in the Sierra del Torcal mountain range. Full of striking natural rock formations and peaks, the park is a must-see if you enjoy the outdoors. The unique shapes of the stunning limestone rocks are not the only sights to see, with a varied range of local wildlife and plants to spot. A range of walks are signposted, from short brisk strolls, to those seeking a lengthier walk taking in all that there is to see. No matter what your experience or planned route, ensure to bring a backpack with plenty of water, sunglasses, sunscreen and comfy shoes – especially if visiting in the summer months. The Mediterranean coast of Spain is famous for its small whitewashed villages (pueblos blancos) lining the coastline and surrounding hills and mountains. The Costa del Sol is typical of this, with many picturesque villages begging to be explored. Some of the finest examples include Ojen, with beautiful views of the surrounding countryside and Mediterranean Sea; Ronda, with it’s not-for-the-faint-hearted 18th century bridge crossing a 300ft gorge; and Casares, which is perched atop a high hillside surrounded by rolling hills. For something a little different, take the short hour-long trip from Malaga to the tiny hamlet of Juzcar, a traditional whitewashed town with a twist. In 2011, every building in the village was painted blue, as a strange tie-in to the newly released Smurfs movie. After the popularity of the village increased tourism almost 1000%, a referendum by the locals was held, which saw the colour scheme voted to remain for the foreseeable future. Estepona has one of the best and most traditional old-town districts anywhere on the Costa del Sol. It’s narrow, cobbled streets are lined by whitewashed buildings decorated with lovely plant pots and decorative features, such as small balconies and traditional facades. The area is like stepping back in time to a different era and can be best enjoyed by getting an al fresco drink and some tapas from one of the small local restaurants in Plaza de las Flores, a small square lined with flowerbeds and a water feature. Although located on the coast of the village of Real de Zaragoza, from where it gets its name, and just 13km from Marbella, you’d be forgiven for thinking that this beach is secluded. This is thanks to its rising sand slopes which provide privacy and obscure the local developments at street level from view. One of the longest and widest beaches in the area, you will always find a decent spot to relax, and enjoy the warm, shallow waters. Being a decent distance from any of the larger nearby cities, it remains relatively quiet, and has great views of the nearby Sierra de las Nieves mountain range and national park. Perfect for a relaxing beach day. The Costa del Sol has some amazing golf courses, with some of the most spectacular views of any in Europe. The temperate climate and up to 320 days of sunshine a year also helps this. However, unless you are a pro or regularly go on golfing vacations, you may not be aware of some of the more popular resorts, such as La Cala, and Calanova. There’s nothing more relaxing than strolling around a beautiful course for a round in the pleasant weather, enjoying some food and drink, before unwinding in your on-site accommodation. Bliss. There is so much to see and do on the Costa del Sol, it is best explored first hand. If you’re interested in moving to this part of the Spanish coast, why not get in touch with Sequre International to discuss booking a viewing trip from as little as £99?